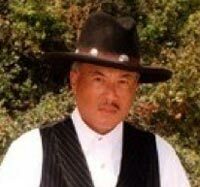 We pay tribute to Dennis Ming aka China Camp who passed away on July 31, 2008. He was a five-time world champion and a role model for many of the shooters who joined the sport in the 1990s. With guests Judge Roy Bean, SASS #1 and Tequila, host of Cowboys.